We are a leading Manufacturer of pp non woven bags from Delhi, India. Leveraging on our vast infrastructure, we are capable of manufacturing, trading and supplying PP Non Woven Bags. Used to carry material, items and products, these bags are widely demanded by several shops, factories and workshops. 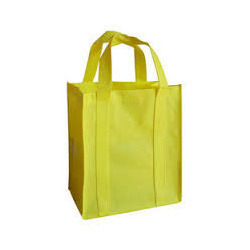 Our offered bags are provided to clients in several colors, designs, sizes and patterns at market leading prices.